Hi Guys, I'm new to this forum - although have been lurking for a long time. I am also new to Marine Aqariums and scrubbers.. so have a few questions. Hope not to annoy you too much. 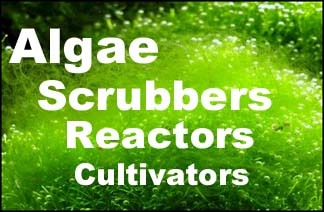 Should a marine newbie start with an Algae scrubber? ie Moi! I have some ideas as to my diy build, but before I go ahead and destroy some acrylic and then realise I'm going down the wrong path. Is it recommended to put CFLs closer to the screen if they are seperated from the screen with a clear sheet of acrylic, or does it require two layers (like the SM100). Does this prevent the screen burn issue? And if so, is there any benefit? Is it worth while using more than 1 watt per gallon if your screen is only 1sq inch\ gallon, or are you better off scaling the screens out related to the watts if you want a more powerful scrubber? ie more watts = larger screen? Other than that, Great site and really looking forward to setting up a tank with an Algae Scrubber. Yes you should start with a scrubber. It will grow and fill-in as you start feeding more. Acrylic does not stop screen burning; it's just about how close the bulb is, how strong the flow is, and how much iron is in the water. More watts is good, if the light is spread-out evenly across the screen, like with T5HO bulbs. But with CFL bulbs, 1 watt per gallon is about as much as you can get without burning. Thanks SM will post pics of the build and the tank once I get going. I would go with no spray box type if you plan to run it long term. Hi Iggy, What do you mean by no spray box? are you refering to keeping the slotted bar lower than the lid to prevent spray from exiting the box? If so, thats the plan. I was a thinking a nice acrylic unit to start with ---- but decided against it as I just want to build the thing and get moving on the tank. The plan now is to use a tote or bin, 3 x 15w CFLs on each side and a 12 x 7 screen (12" wide) cut in half. I'll probably put some acylic between the lights and the screen. Still deciding on the pump, but something in the vicinity of 2000lph.